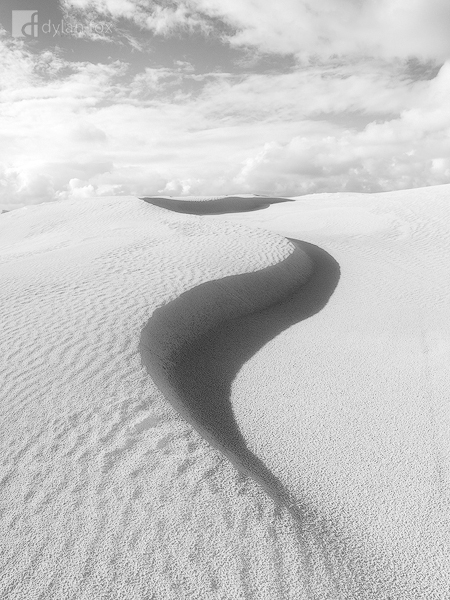 A simple, clean and subtle s-curve makes its way up the dunes of Wedge Island in Western Australia. I was driving down the beach after an early morning storm and spotted this s-curve in the distance and knew I had to make a photograph of it. I have always had a soft spot for black and white photography! Secure your limited edition, Wedge Island photographic print, 'Serpent', by selecting your desired print size in the menu to the right.